Russia Captures Three Ukrainian Ships; Signpost of Daniel 7:5? | Have Ye Not Read? 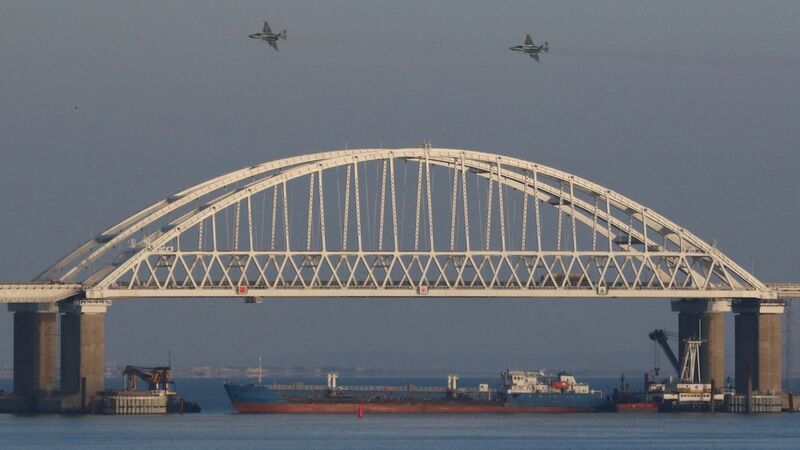 “Three sailors have been wounded after the Ukrainian navy said two artillery boats were hit by the strikes in the Black Sea. Of course, we’ve long known that the “bear nation,” is Russia, which today is composed largely of the Edomites of Old Testament times, who were the descendants of Esau, renegade brother of Jacob. 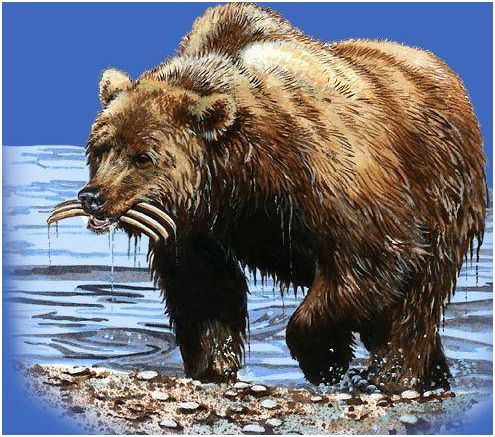 So the Russians have militarily captured three vessels off the coast of the Crimea, similar to the way the second beast “like to a bear” in Daniel 7:5 above rises up and grabs “three ribs” into its mouth. Regardless of the imagery, and the fact that three vessels were captured by the Russians, this is not — I repeat, NOT — the fulfillment of Daniel 7:5. The Edomites, which is to say the “Red Ones,” who are Russia of today, have always been particularly jealous of their borders, not wanting any potential enemies to get too close to them. Num 20:17 Let us pass, I pray thee, through thy country: we will not pass through the fields, or through the vineyards, neither will we drink of the water of the wells: we will go by the king’s high way, we will not turn to the right hand nor to the left, until we have passed thy borders. For many years now, the U.S. and NATO have been cozying up to the countries bordering Russia, giving them military aid and advice, which of course makes the Russian government about a nervous as a hive of bees that’s been poked hard with a big stick. Like their Edomite forefathers of old, the Russians simply don’t like their borders encroached upon. They want plenty of elbow room between themselves and those they perceive to be “the enemy.” And Ukraine and Crimea, which border Russia, help provide that elbow room. Russia considers those nations, which were once part of the old Soviet Union, to be part and parcel of their sphere of influence. In other words, in the minds of Russian leaders, these nations are their “back yard.” And just like Edom of old, they don’t want any western influence whatsoever in their back yard. Indeed, they view any drift toward the west by these former satellite nations as a grave threat to their territorial integrity. So whenever Russia’s enemies — in this case, the U.S. and NATO countries — start moving in to the border states around Russia, the Russian government has no reservations whatsoever about expressing their displeasure, militarily. Another state bordering Russia is the nation of Georgia. You might remember back in August of 2008 that Russia came out in massive military force against the nation of Georgia. But why? You see, poor old Georgia had been purchasing western military equipment, and was in the process of having its military trained by western military advisors. This sent Russia into a tizzy. Here were U.S. and NATO military advisors, and U.S. and NATO military goods, being brought into a nation that borders Russia and that was once part of the old Soviet Union. So what did Russia do? First, they began sending pro-Russian agitators into the Georgian province of Ossetia, stirring up trouble by trying to get Ossetia to break away from Georgia and come under Russian influence. When Georgia fell for the trap and sent troops into their own province (Ossetia) to stop the agitators, Russia invaded the nation of Georgia under the guise of “protecting its interests” in Ossetia. The whole thing was a setup by Russia from start to finish. They were looking for an excuse to invade Georgia, and they created the excuse by seeding the Georgian province of Ossetia with the pro-Russian agitators. [By the way, don’t ever forget that Russia attacked Georgia during the Summer Olympics, which had been hosted by Red China. In other words, Russia attacked Georgia while the eyes of the world were focused on the dragon, which is the national symbol of China. The bottom line is that we see in chapter 20 of the great book of Numbers an incredible example of how the children of Israel were turned away, militarily, by the Edomites — the Red Ones — from even so much as approaching their border. And today we can see once more the descendants of Esau — the Edomites (Red Ones) of Russia — acting to protect their perceived borders by flexing their military might against close-by nations that are reaching out to the western military powers. Russia is simply protecting what they perceive to be their territorial integrity. And this results in a grand chess game being played out on the international stage between the western Christians nations and their own brother, Esau. So keep your eyes wide open. These are certainly interesting times we’re living in. And things appear to be heating up on all fronts, including in Russia, in Jerusalem and in regards to Iran, as well. In short, Esau (which is Edomite Russia of today) represents, prophetically, the end of this flesh earth age and all of its ungodliness. And Jacob (true Israel) represents the beginning of the next age, the millennium age, which is the age of the reign of Christ. Just as Esau and Jacob were born at the same time, with Jacob holding Esau’s heal “from the beginning” (i.e., holding Esau back from world conquest, symbolically), so it still is in the final days of this flesh earth age. In other words, renewed strife between Esau (Russia) and Jacob (true Israel/western Christianity) is a major sign of the “parting of the times,” which is to say, the point at which we move from the end times into the millennium reign of Christ. That of course is in reference to the fact that one of the final acts of this flesh earth age which takes place just before the beginning of the millennium is when Esau/Edom attacks the western Christian nations (Ezekiel 38 and 39) and our heavenly Father returns to fight that battle for us, destroying the Russian power structure at the same time He destroys Satan’s power structure in the middle east land of Israel at Armageddon. What more can be said, but Watch, watchmen, watch.